Picpoul de Pinet has made me a lot of friends. It’s been essential chat fuel in London pubs since 2009. Here are seven facts you may not know about Picpoul de Pinet. It may even help with your next pub quiz. There’s a lot more to this easy white wine from Languedoc-Roussillon in the south of France than you may expect. 1. 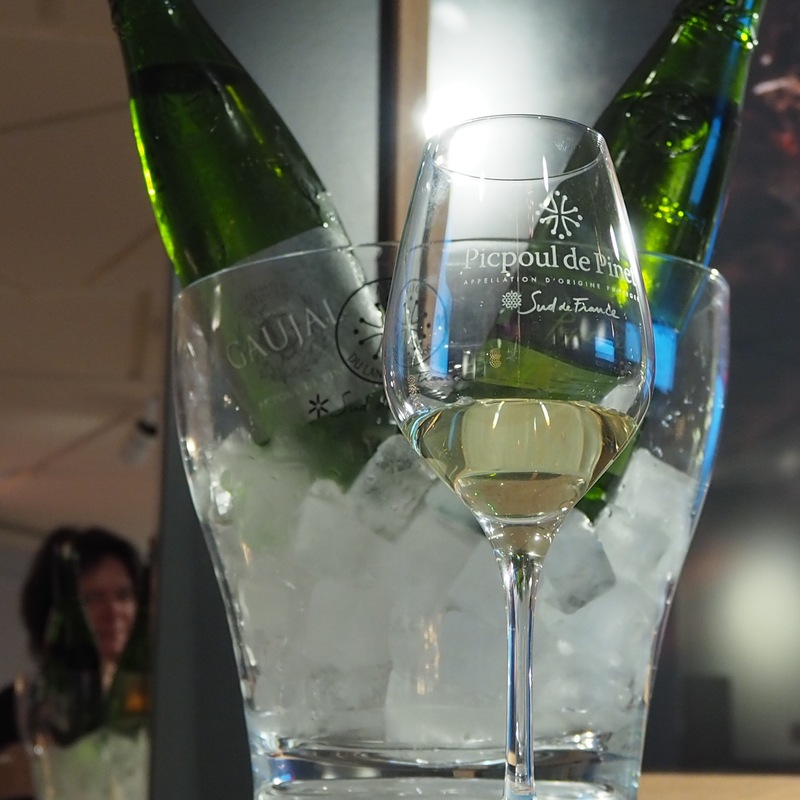 One third of all Picpoul de Pinet production is sold in the U.K.
1.57 million bottles were drunk in 2017/2018 compared to 1.08 million in 2016/2017 – an increase of 46%. That’s a lot of after-work drinks. Since 1995, Picpoul de Pinet must be in a sleek green bottle. Up close, you will find it has three symbols on the glass: the waves of the sea around the neck of the bottle, the cross of it’s home region of the Languedoc-Roussillon, and columns along the base of the bottle as a nod to Roman Doric columns. It must have all three to be a real Picpoul de Pinet. Piquepoul is the white grape of Picpoul de Pinet. Pinet is the town. Stay with me. Picpoul de Pinet may be a white grape today, but records in the 1300s suggest it has changed its identity over the centuries by genetic mutation. The vine louse called phylloxera nearly wiped out the world’s vines in the late 18th century. Thankfully, the Piquepoul grape survived because it thrives on sandy soils, which are fatal to the vine pest. In 1971, a local mayor in the South of France held an event to celebrate “the marriage” of Picpoul de Pinet and Bouzigues oysters. Since then, it has become a classic food and wine partnering. The lemony flavours of Picpoul de Pinet means it’s happy ever after. Piquepoul is the only approved variety in the Pinet region. This had a positive effect when introduced as a law in 1985 – doubling Picpoul de Pinet sales over the next decade. An easy one to remember after a few glasses of wine with friends – if you don’t remember anything, remember this fact: Picpoul means “lip stinger” in local dialect. You may never know when you might need it. What is a pub in London without a Picpoul de Pinet wine? It is fresh, salty, lip- stinging, eye-opening effervescence. Since 2009, it’s been London’s biggest chat fuel in pubs. Coming up at the same time as Prosecco, it’s also kind to the wallet, but Picpoul de Pinet stands apart for it’s small production volume. It’s a London thing – people want it like the latest sneakers: because it’s rare and popular.